Smileloc® by Rodo® provides retention, retrieval and reinsertion without screws or cement. MicroDental is excited to now offer the Rodo Abutment System as part of our portfolio of implant solutions. Eliminating the need for cement or screws when attaching the restoration to the dental implant, the revolutionary Smileloc® system by Rodo is utilized instead of screws or cement. This new FDA cleared implant abutment system uses the shape memory material, Nitinol, to create an entirely new attachment between a restoration and a dental implant. 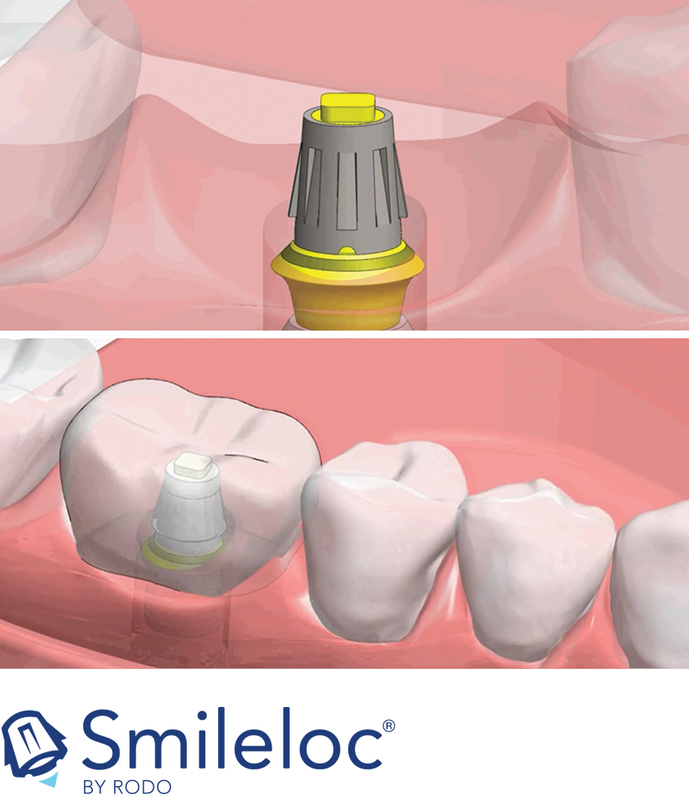 Smileloc is currently compatible with Nobel Biocare®, Straumann®, and Neodent® implant systems. Compatible with major implant systems. Check contact, occlusion, color, emergence, profile, and contour. Inner Smileloc flaps engage the abutment. cleanup and no screw access holes to fill. Contact one of our authorized labs for more information about Smileloc.